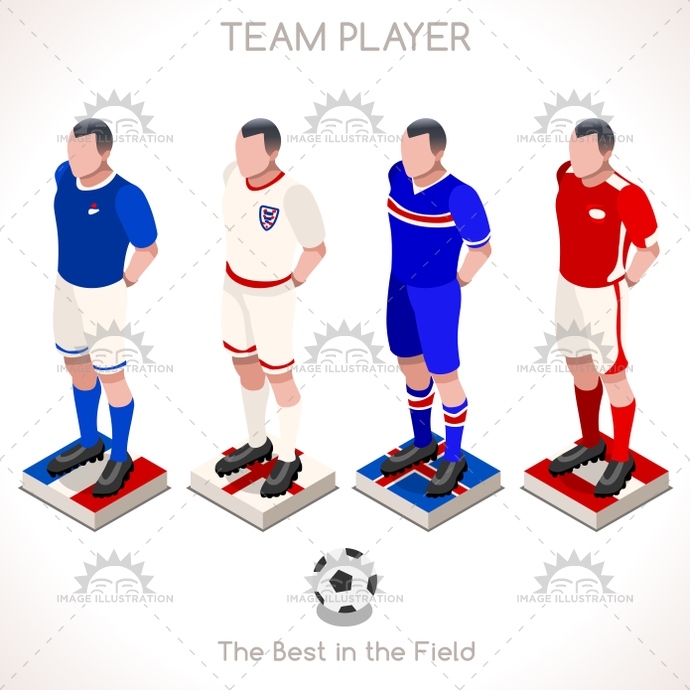 Stock product - detailed vector illustration - Isometric People Collection - Football 03 - created by Aurielaki. Image formats EPS AI JPG. SKU: Football-03-People-Isometric-AurielAki. Category: World Cup 2018 Russia Soccer. Tags: app, athlete, austria, background, ball, betting, boy, championship, competition, cup, desktop, england, epic, european, flag, football, france, game, golden, iceland, icon, illustration, infographic, isolated, isometric, league, lineman, man, match, moment, national, online, passion, people, play, player, qualifiers, score, soccer, sport, stadium, tabletop, team, template, tips, vector, web, white, world.